Jeff Darr is originally from Corning, Arkansas and graduated from Corning High School in 1985. Student athletic trainer at Arkansas State University working with Football, Men's and Women's Track, and Men's Basketball. Graduated in 1991. In my 18th year with PSJA ISD. 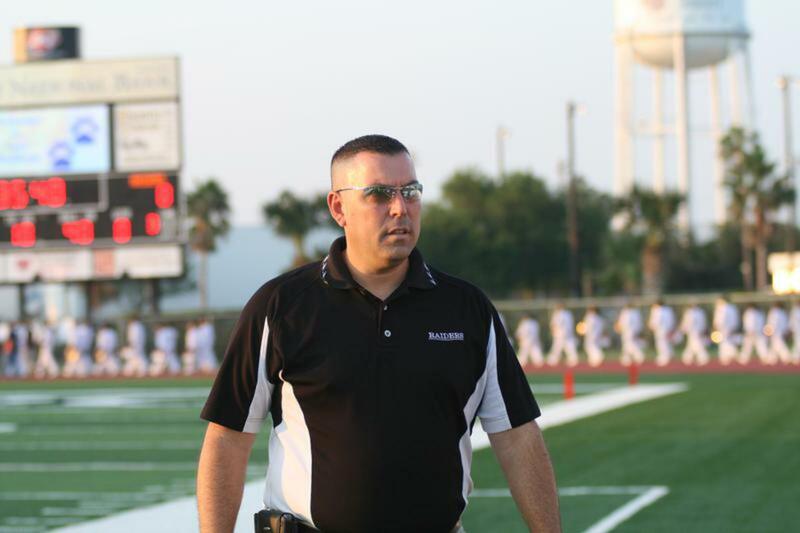 16 years at PSJA North High School and currently in my 2nd year as the District Athletic Trainer Coordinator. Previously served on the VATA Board of Directors as Vice-President and Membership. Also involved in setting up the current website. Currently the committee chair for the VATA South Padre Athletic Training Seminar. My 17th year working with the committee and my 8th year as committee chair. Currently the Region 9 Director on the Texas State Athletic Trainers' Association Board of Directors. 2nd year of a 3 year term. 1) How/when did you become interested in the field of Athletic Training? My head football coach in high school sent me to a Cramer Student Trainer Camp at Memphis State University in 1984. 2) If from out of the valley, how did you end up at the position you are currently in? Was in Little Rock, Arkansas at a clinic in early 1996 and hated it. Opportunity to move to Austin came up so Moved down and got my Texas license. A shake up in personnel at the school I was at in Austin caused me to start looking around. Interviewed at several schools here in the valley and in Laredo and ended up at PSJA North. 3) What drives you to do your job? In my current position I have been able to work on designing a Sports Medicine Institute Program to help kids who might be interested in a career in a sports medicine field, get on a pathway to that career. It is very fulfilling to be able to start a program like this and have the support of administrators including the AD, superintendent, and administrators. 4) Has Athletic Training provided you an opportunity to travel, either in or out of country? What is your favorite memory from this experience? Not much travel opportunity for me as a high school AT. I did travel extensively in college all over the United States and wouldn’t trade the experience for anything. Some of my favorite memories; seeing the Seattle Supersonics play when we were on a trip to Tacoma, Washington to play in the NCAA I-AA National Championship football game, touring a US Navy Destroyer at the Navy Base in San Diego when we were there for a tournament in men's basketball, and too many more to name. 5) Do you have any advice for other ATs or students contemplating a career in Athletic Training? The future looks bright for our profession and I will do anything I can to help a student get into a program. I am currently following a former football player from PSJA North who is going through the masters athletic training program at UT Arlington and will do a summer internship with the Oakland Raiders the summer. I would tell any student who is interested that the opportunities are there and to use the resources and contacts that their high school ATs can provide them with.